I know what GP (above) is talking about to some extent. My loose anger creates more havoc and negative responses as it basically mirrors my self loathing and reactionary man who lacks control. On the other hand I have learned to be in touch with my anger when alone and find it a wonderful tool for bringing clarity and control to a situation – often this takes the form of expressing the anger then releasing control after gaining clarity. Sometimes clarity for a way forward is gained. I also think over checking yourself or bottling your anger is toxic. Interesting post, after I realized today that I might have been a little overbearing today. A friend I was hanging out with called me controlling, and I didn’t believe I had been controlling at that moment, but perhaps I had been a little out of control prior to that. I didn’t learn and may have been a little too passionate about my beliefs later that day. I don’t believe I was angry, but my voice gets loud when I speak as I try to be heard. I would also love to see some sort of post on how to recognize this behavior and stop it before it gets too intimidating. My hat’s off to you for taking steps to realize it and to change. My ex would never acknowledge it and instead always turned things around to say that I had supposedly pushed him to it. And, heaven help me if I would shut down. There was no such thing as a time-out once he got into attack mode. Granted, that wasn’t our only problem by a country mile but communication styles are critical to either relational success to relational demise (at least in my opinion). I evaluate my own regularly for that very reason. Let’s have a post on doing anger right, please. I don’t want to be repressed, but I also don’t want to be scary. Step by step suggestions, written in plain English would be good. A video would be even better. 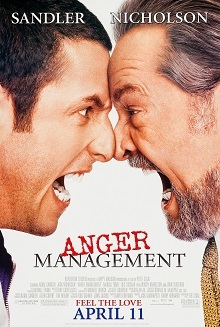 In fact, I’d pay for a DVD of scenes demonstrating how EXACTLY to do anger right. Especially if there was a companion workbook complete with Footnotes, further reading, and homework. If it’s evidence based, I’ll pay double.